Indonesia is home to many distinct food styles, with each cultural group and village varying the way they prepare similar dishes according to their own tradition and seasonal produce. 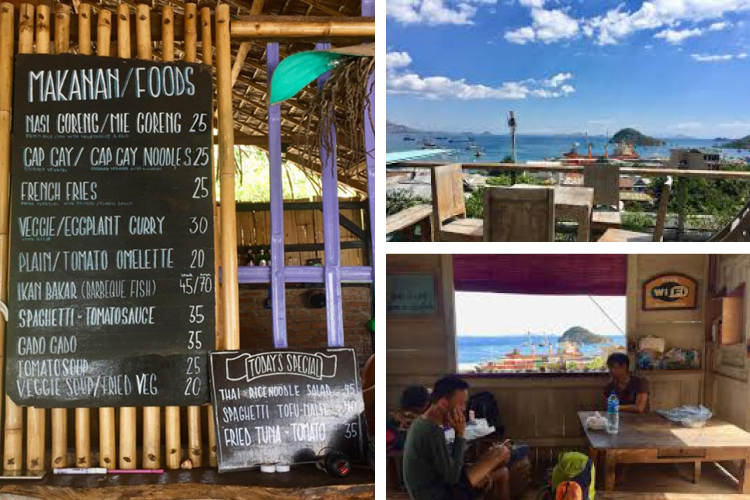 This is what makes the food scene in Indonesia so exciting, and die-hard foodies are flocking to Flores to discover the many restaurants and warungs each with their own individual food style. 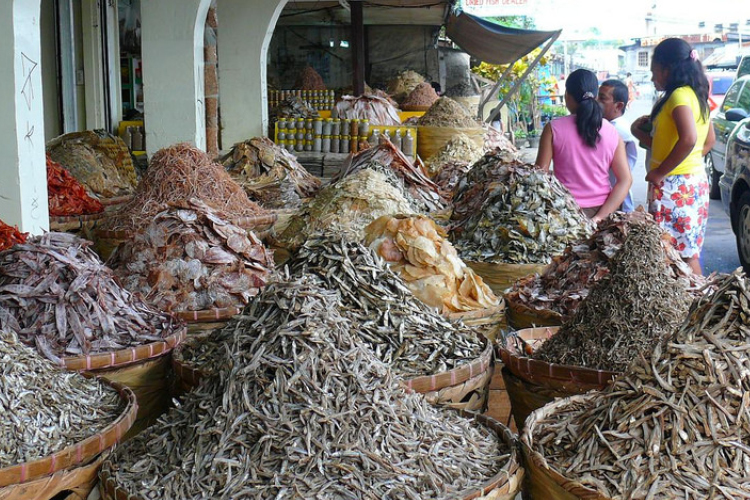 Flores and its diverse food culture is emerging as the destination for food lovers, with its coastal villages that offer every seafood delicacy imaginable, and its inland communities that present an entirely different foodscape. The coastal villages of Flores rely on the pristine ocean for their produce, and fishing is the focus of daily life. The Bajo people in particular, also known as sea gypsies, have built their lives around the ocean and the fish trade. Alongside the fish that is caught and prepared fresh each day, these fishing villages also subsist on dried fish, once borne from necessity prior to refrigeration and storage. Part of the daily diet, it is typically served with vegetables or tomato-based sauces and of course, with plenty of chilli. The dried fish are salted, hung from poles and left to air dry before being packaged for market sale by the kilo, or eaten with the family. Communal eating is an important part of village life, with families and neighbours taking the time to sit, eat and share stories and food with each other. Parties and weddings can go on for three to four days, with family, neighbours and friends welcome to join the feast, contributing their own food and happiness to the celebrations. A common way to serve food in the region is known as ‘Padang,’ which describes a mouth-watering stack of dishes presented to the diner who chooses a combination of plates to enjoy. Often travellers find the selection irresistible and they end up with far more than they would normally order, and yet, somehow it always gets eaten. Sauces and spice-based sides are added to fish, chicken or pork and despite rice being an important commodity in the area, cassava is more popular than rice. But a word of warning to Flores foodie newbies, the spices and chillies pack a punch! Go cautiously, and do not be fooled by the tiny chillies, they are the strongest you will find anywhere. So before liberally adding them to your dish, try a very small amount first and trust the locals when they tell you which dish is mild and which dish may have you begging for mercy. Indonesian food traditions vary across the region both in the way that food is prepared, and in the significance that different ingredients have within each regional culture. For example in Bali, they remove and discard papaya flowers from the trees, believing that they are associated with black magic. In Flores however, the papaya flowers are prized, considered a delicacy and are a regular part of the diet. Papaya flowers are sautéed in garlic, oil or fat, shallots and meat are added, and it is served with cassava. I asked a Flores friend her top three favourite dishes that you should try as a visitor to Flores, and her answer was: babi kecap (pork dish found all over Indonesia but prepared the Flores way); papaya flower; and dried fish. Although she also said they are her favourites because of how her Mum cooked them…Mum’s cooking is always the best! We’d love to hear about your Flores foodie journey and will be doing a series of blogs about the food culture in Flores. To feature in the series, please get in touch or send us your blogs and photos – we’ll credit and feature you soon on the website.